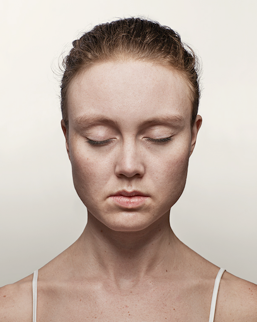 Crime and Justice Research Member Dr Monique Mann’s research on facial recognition has inspired Anna Sinclair – a photographer based in Sydney – who has been selected as one of 41 finalists in the prestigious National Photographic Portrait Prize 2018, for her work, ‘The Capability’, which brings attention to the creation of the National Facial Biometric Recognition Capability. “Through this work I am trying to bring attention to the creation of The Capability and the risks it poses to the privacy of every Australian that holds a driver’s licence or a passport. Despite what the Federal and state governments have said, the creation of this system that allows government agencies to identify people from a pool of images made up primarily of law-abiding citizens is extraordinary and I find it concerning how little consideration and weight has been given to the privacy implications of it. Another important aspect of the work is how the creation of a national system of images, combined with facial recognition technology, significantly changes the function of a digital portrait. Portraits have long been objects that both represent and celebrate the uniqueness of individuals, and allow us to reflect on the human experience. With this technology a digital portrait becomes a simple tool by which government agencies can easily identify a person and obtain their biographical information, without their knowledge or consent. Dr Monique Mann has recently published a co-authored book on Biometrics, Crime and Security in the Routledge Law, Science and Society Series and as part of her public policy work on this issue has also recently co-authored a submission to the Parliamentary Joint Committee on Intelligence and Security Review of the Identity-matching Services Bill 2018 and the Australian Passports Amendment (Identity-matching Services) Bill 2018 that provides the legislative basis for The Capability. On Thursday the 29th of March Crime and Justice Research Centre member Dr Monique Mann gave oral evidence to the Parliamentary Joint Committee on Law Enforcement Inquiry into new information communication technologies and the challenges facing law enforcement. This evidence was based on Dr Mann’s published works in online surveillance, extraterritorial online policing including darkweb policing, biometrics including facial recognition and her ongoing research on 3D printed firearms, big data and algorithmic policing. The opening statement that Dr Mann gave focused on her public policy and advocacy work in defending encryption and can be accessed here, with the full written submission available here.